If you are a “morning person” who just pops out of bed at the sound of the alarm and gets right to it, I admire you. I seriously admire you. If (like me), you DON’T consider yourself a morning person, don’t worry. I’m not trying to make you into a morning person. The reality is that most of us have to get up in the morning to go into work, maybe work from home, raise kids, clean the house, whatever it is that you do. 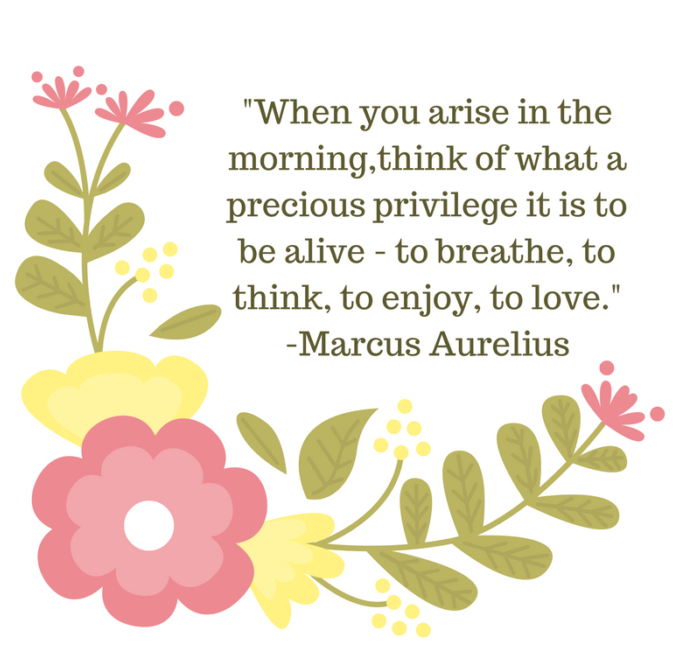 Wouldn’t it be great to start your day with a fresh, positive and focused mind? How much more productive and HAPPY would you be throughout the day when you started it out intentionally and mindfully? Research has shown that people who meditate are more productive, show more positive thinking and can handle stress and conflict in a healthier way. Now before you get all freaked out about the word “meditate,” know that what I mean by this is intentional and mindful activities that ground us, make us feel joy and gratitude and give us a positive outlook for whatever comes our way. Self care is becoming that much more important in our hectic lives. We all want to perform our best, have the energy and motivation to do what we do and have some left over to give to others, right? But how can we do all that if we’re not feeling rejuvenated, refreshed and inspired? I have made SO much progress by creating a morning routine. I won’t go as far as to say that I enjoy leaving my comfy bed at the crack of dawn and I definitely hit snooze EVERY morning. But…I’ve come to value these few minutes I leave just for me, to fill with something that I ENJOY before starting the day. I’m challenging you to make it a priority to make your days joyful, peaceful and full of gratitude. I don’t care how busy you are or how early you have to wake up. You CAN make time for this. 15 minutes earlier won’t kill you. Seriously consider doing this 30 day morning routine challenge. I promise you will only get good out of it. 1. Make a cup of coffee or tea. There’s something so enjoyable about making coffee or tea in the morning. It also motivates me to get out of bed when I know I have a warm treat to look forward to. This is when I also love to put a few drops of lemon or peppermint essential oil into my diffuser to help wake me up! 2. Set the timer on your phone. Decide the amount of time you want to set aside for yourself each morning. It could be as little as 5 minutes if that’s all you can manage right now. I like mine to be 15-30 minutes. Setting your timer allows you to focus without having to worry about how much time you have left. 3. How do you want to feel throughout the day today? Maybe it’s peace or joy. Maybe you want to have patience or gratitude. Set your intention. 4. Choose your activity. Below I have a list of things you could do during your morning time. I usually pick a different one every day. Choose one or a couple of the things from the list or come up with your own. It doesn’t really matter what you do, just choose something and be intentional about it. It should be something that brings you joy, peace and / or expresses creativity or gratitude. 5. 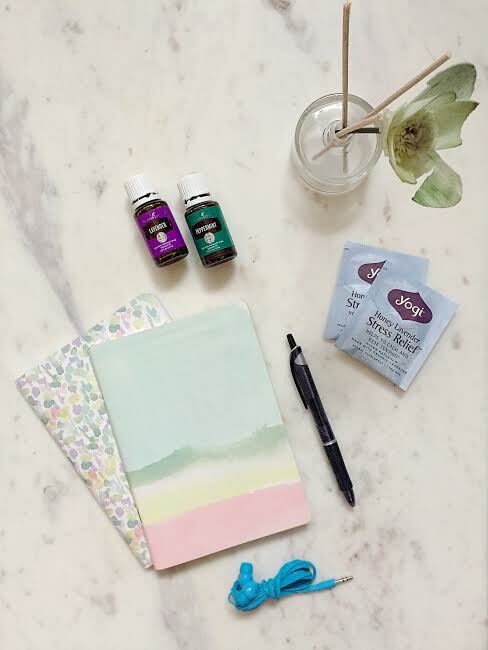 Start your day feeling refreshed and rejuvenated! Reading a negative email or hearing something sad on the news etc immediately starts your day in a negative mindset. Watching TV or playing video games is a MINDLESS activity. We’re going for mindful. Do your mindful morning activity BEFORE you do any of these things. 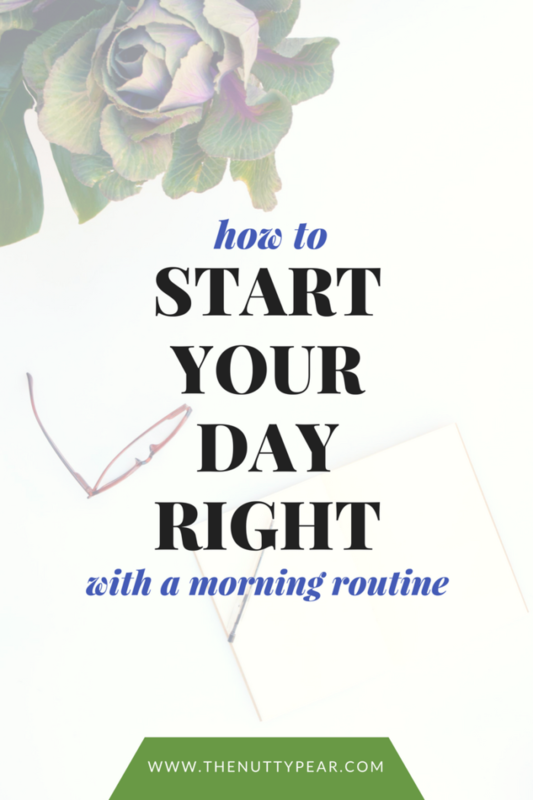 I’m challenging you to start and maintain a morning routine for 30 days and see how it changes your mindset, your productivity, your happiness and your days. Some days it will come easier than others. Some days you can only do 5 minutes. But I challenge you to DO IT no matter what. And if you wake up late one morning and you just don’t have time for it, get 5-10 minutes in during the day where you slow down and do something mindful. Let me know how you feel after this challenge! 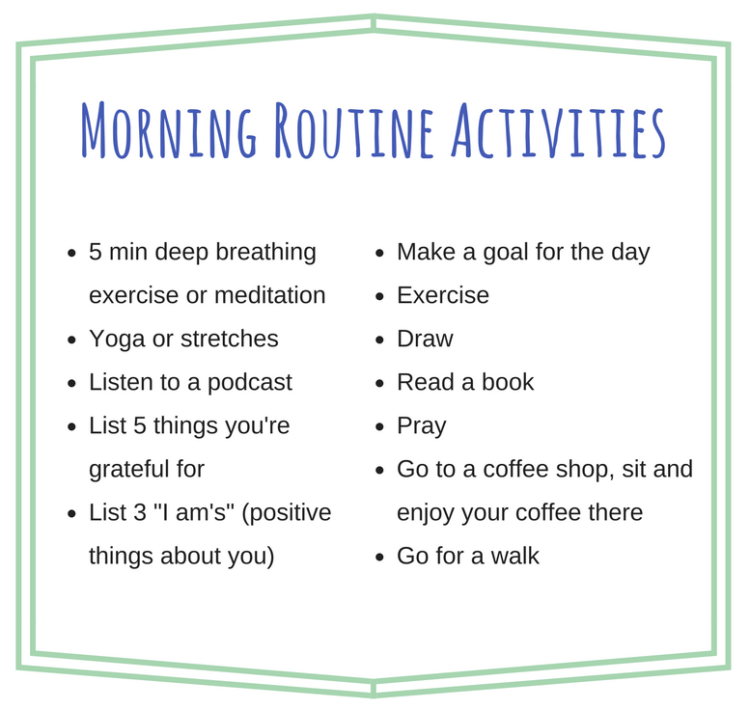 What kinds of activities do you like doing in your morning routine? Pssst. Don’t miss a post! 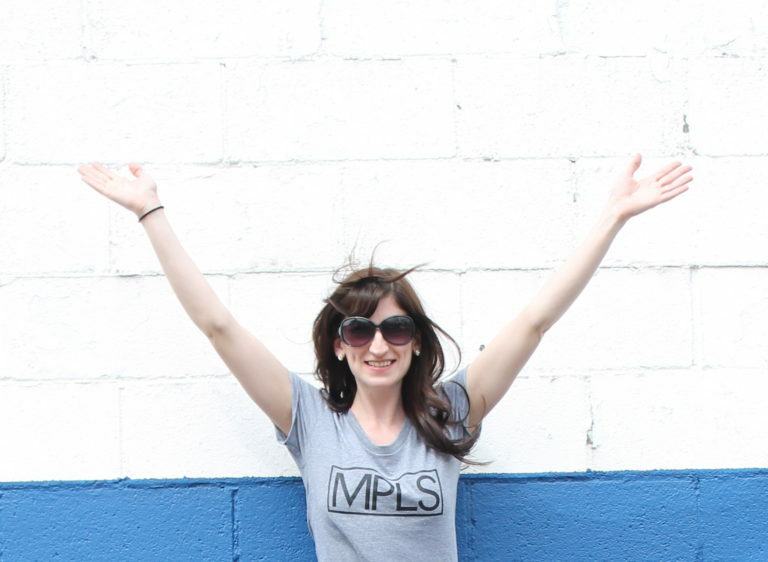 I send out my new posts + weekly deals and fun finds in a weekly email. Sign up here. I like to start my day with reading, prayer, and a cup of water/tea. If I’m doing really well I add in oil pulling. :) Love that quote up there, too! There’s so much to be thankful for! Thanks for this! I’m always trying to tweak my morning routine, so this is very useful. I’m trying to get out of the habit of reading email first thing. It’s a tough one to break! I used to be all about the morning routine! I had a half a dozen kids and if my morning didn’t move the rest of the day didn’t either. Now that the kids are gone, my mornings are slower, which is nice, but seriously I am half as productive as I used to be. I need to get back on the morning routine! We love our morning routine! Our kiddos routine is even written out on a chalk board in the kitchen (because they’re still in training!). It really does help the mornings go much smoother! I love that! Great idea to have it written out.